“Could someone just tell me what I need to know without trying to convince me that I need the latest gadget, assuming I have all the time in the world to trudge through geek speak, and wasting my time with a lengthy explanation of how it all works?” Christina Tynan-Wood, a female geek, could hear these subliminal pleas for help whenever a friend asked her a question about technology–a question they usually chased with a “I’m sorry to be so clueless (page xviii).” GIRLS! YOU ARE NOT CLUELESS! You had the brains to ask the question, right? Well now Christina has made it easy to find the answer–Ta da! 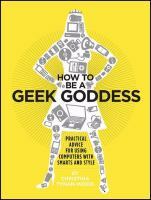 How to be a Geek Goddess: Practical Advice for Using Computers with Smarts and Style. Finally everything a girl needs to know to feel technologically confident in ONE BOOK! Christina explains what you should know before buying a computer, how to set up wireless, how to organize your desktop, what security software you might need, how to shop online, and so much more! Her writing is fun, conversational, and full of illustrations and screenshots. Only downfall is that the book is very PC-heavy (which she admits up front), so some of the very useful topics, such as installing software, will not apply to Macs. Despite that, How to be a Geek Goddess is must-read for all women who want (or need) to be in control of their technological life. You may also want to check out Christina’s website at www.geekgirlfriends.com. 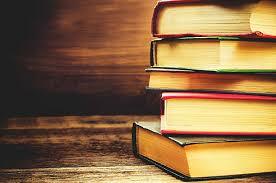 Okay, lets get our geek on!